This hike was my second in Colorado and in October of my first year. Right before this is when I first met Josh and he suggested we try something easy and close since the weather wasn't perfect. 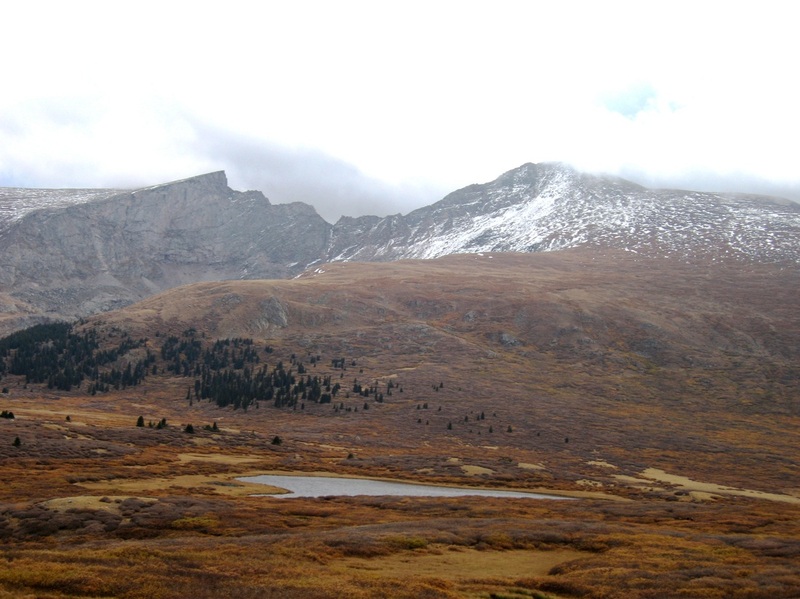 He drove us up to Guanella Pass which I had never been to before and once we got to the trailhead I saw Mount Bierstadt from a different angle than I had seen it from the Sawtooth. I was also able to see a broadside view of the Sawtooth which was very cool! It was a cloudy morning and very eerie. The grasses were mostly brown by this point as the fall foliage had passed. We started up the trail which at first descends slightly and passes by a small tarn but then climbs gently up the slopes soon to the right side of the banner above. 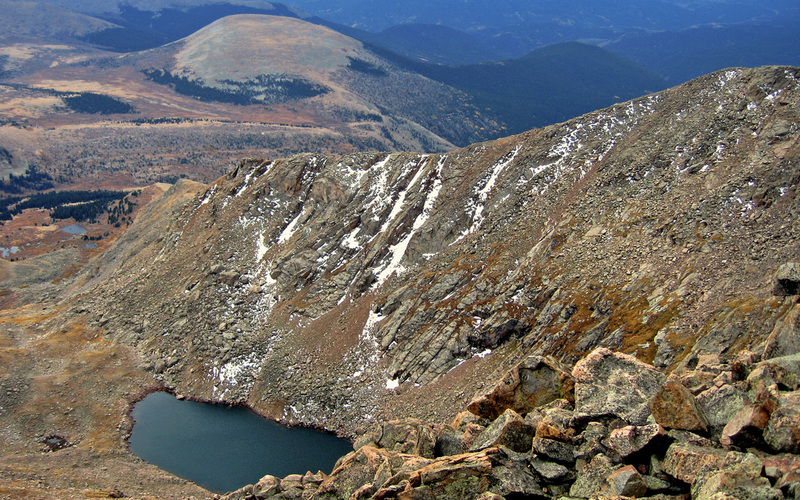 We made great time and was passing many other parties and once on the summit we got a nice view down to Frozen Lake below and Mount Evans. 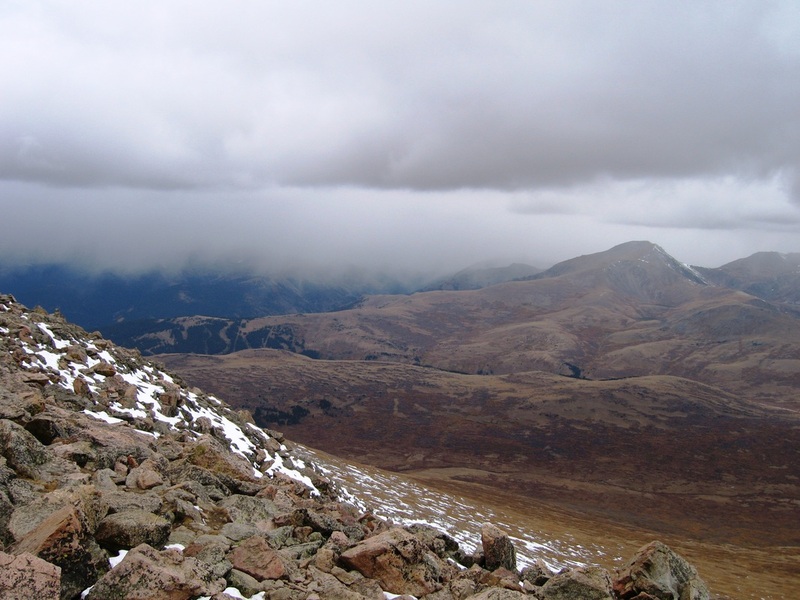 I noticed some darker clouds and fog coming in very quickly and just as we left the summit it started snowing lightly. It wasn't very cold or windy however which was nice. Josh and I began running down the trail and went most of the way down before finally stopping to rest near the base. Once we reached the car we took a break and thought about what to do next. It was still only about noon and we also wanted to try and climb Square Top Mountain so we waited a little while hoping the fog and snow would clear a little. 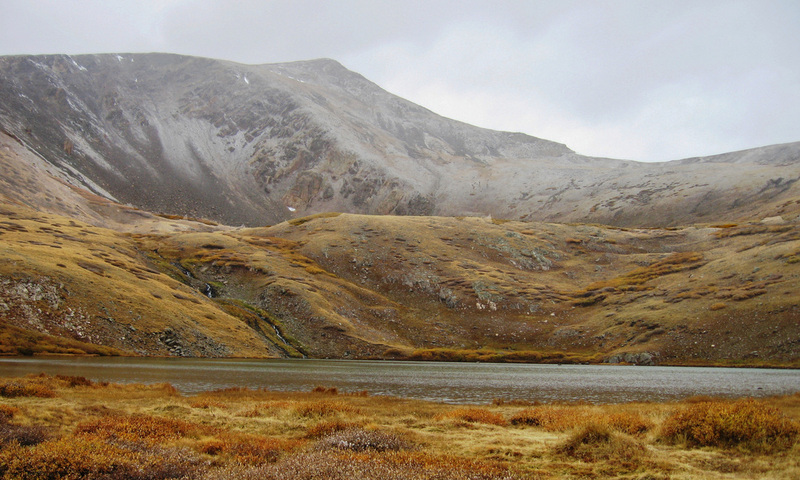 When it looked promising after about an hour of waiting we started hiking up the trail to Square Top Lakes. 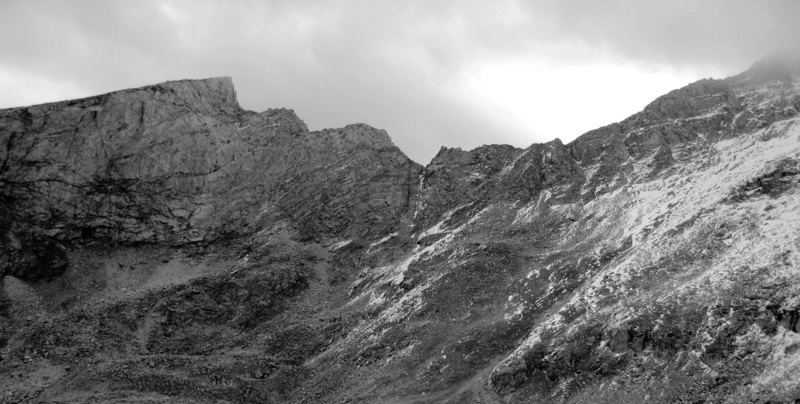 We got to the lakes and the weather started getting much worse so we just turned around and headed back. This dumb peak would end up taking me four attempts before finally reaching the top in 2012!! !